One thing I’m interested in are anti-aging products. There are a lot of people who think that these are products for old people with mature skin. Or at least for people who are already showing signs of aging. I don’t agree. If these items can bring new life to tired skin that has been through a lot, I’m sure it will do wonders for younger looking skin as well! The real question is what exactly I want from a product. I have combination skin that can be really dry or really oily at different points of the year. I definitely want something oil-free. I can’t stand anything that will make my skin greasy when it’s not. But more than just that, I want something packed full of vitamins and benefits that will keep my skin protected and healthy. 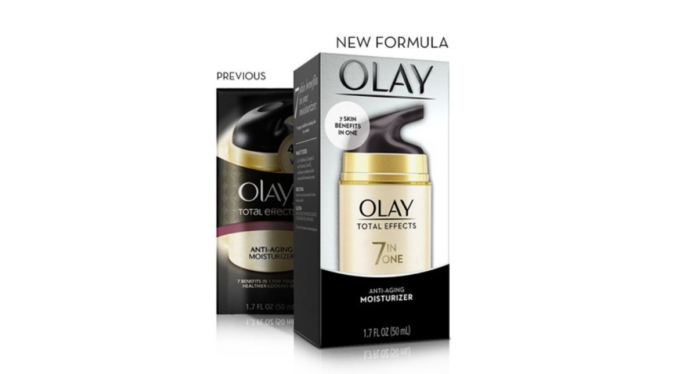 When I read about Olay Total Effects 7-in-1 Anti-Aging Daily Face Moisturizer, I was really interested in learning more. This is a product with a lot of skin benefits and I want to know what the customers said about it! Every product makes promises, but I want to know whether Olay really delivers the benefits that they advertised! I want to break down the product into a few different categories. Just to help you figure out if this is right for you. It will also make it a little easier for you to compare this product to others like it. 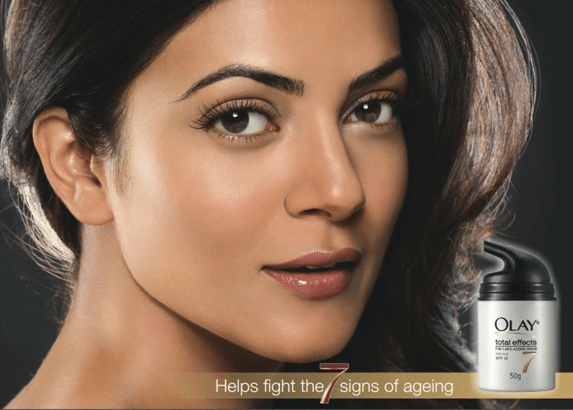 Affordability: Olay isn’t a product that I buy very often. It isn’t the most affordable brand out there and I’m always on a budget. But for most people this price isn’t a big issue. 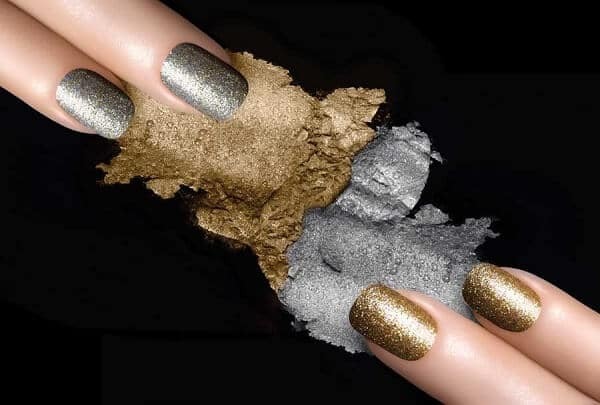 It’s a reputable brand with a huge following! I think that says a ton about the product. When customers are coming back for more and giving it great reviews, I trust it much more. But just keep the higher price in mind in case you’re as money conscious as I am! This is by no means the most affordable product on our list. How to Use: I don’t know what your typical skin routine is. But I would recommend that you establish a good routine while using this product. They want you to use all their skin products in unison. You might actually get better results if you stick with their line for all your skin needs. But the most important thing with this is to clean your skin with your favorite facial cleanser first. Then you can apply this product to your clean skin to moisturize and refresh your skin! If you are using this specifically for the sunscreen, it is best to apply and wait 15 minutes before venturing out into the sun. After that you should always reapply after 2 hours. Type of Skin: Since this is oil-free, it should work best on oily or combination skin. If you have very dry skin, you might need to see for yourself whether this will work well for you. Some people with dry skin need something that is deeply moisturizing to make much of a difference on their skin. One big thing to keep in mind is that this may not be best suited for sensitive skin. It is not fragrance free or hypoallergenic. If you happen to know the exact ingredients that you are sensitive to, you could always check the ingredients list to see if this will still work for you. Otherwise I wouldn’t recommend it. It would be a shame to waste your money on something that you will just have a reaction to anyway. Multiple Skin Benefits: The list of benefits to this product is pretty incredible. To sum it up a little, it provides nourishing moisturization. Balances the tone of your skin and targets dark spots. Minimizes the appearance of pores, fine lines, and wrinkles by toning. It contains VitaNiacin Complex which has vitamins B3, E, and C. As well as providing your skin with antioxidants and SPF 30 to protect your skin in the long run. It provides deep hydration while exfoliating to enhance your skin’s natural self renewal process. Talk about getting bang for your buck! Scent: This is a scented product. Most people said it really just smells like sunscreen. That isn’t a scent that typically sticks around long. I know that not everyone wants to smell like sunscreen all the time, though. Some people dislike the smell and that’s why they decided to get something a little bit different for their face in the first place. The fact that it isn’t fragrance free means some people will have to rule this product out right off the bat. There are a lot of people with allergies to fragrance. Others avoid fragrance on principle because it is not always the best thing for skin care products. Drawbacks: The negative aspects of this product will just depend on you and what you’re looking for in a product. Or what you intend to avoid. Olay 7-in-1 is not fragrance free or paraben free. It isn’t hypoallergenic or water resistant. So in all reality, most people will probably still choose this because of the benefits. But I always like to know the best and worst things about a product. Mainly because I like to know what I’m getting myself into. Olay Total Effects 7-in-1 has a multitude of benefits! If you have mature skin, it will help fight fine lines, wrinkles, and age spots. It will balance out your skin tone as well. I don’t actually have these issues now, but given enough time, we all do at one point or another. You could at least slow it down! It contains SPF 30 to help prevent future damage. The sun plays a big part in giving your skin so many issues in the first place. Over time it can wreak havoc if you don’t use the proper protection. So if you’re looking into preventing all of that from happening this could be a great way to do it. Exfoliation is another thing I don’t really think about until I’m in too deep with dry skin patches. But this product actually exfoliates to enhance your skin’s natural self renewal. So basically, you help your skin take care of itself! It’s also oil-free so it won’t make your oily skin worse. I know quite a few people who don’t feel like they need to moisturize because they have oily skin. But in all reality, everyone needs to moisturize. And it isn’t just about moisturizing, but also the extra vitamins and antioxidants that are included. When you have oily skin, you still need something that will give you all the benefits without making you look like a greaseball. This just might be it! The main issue I have with this product is the fact that it isn’t hypoallergenic. This strikes it out for many customers. If you have sensitive skin, you just can’t avoid it. There were enough customers that were either breaking out with acne or rashes because they thought they could get away with it. Don’t take chances! You know your skin best! My sister is one person who tends to use things she should avoid. She has quite a few different allergies that can give her rashes or hives if she isn’t careful. It limits her when it comes to a majority of fabric detergents or softeners. She can’t consume anything with blue or red food dyes. And she can’t use skin products with certain ingredients, such as salicylic acid. But even with all these issues and plenty more, she isn’t careful at all. I can understand wanting to break the rules so you can use things like everyone else. But you’re the one who’s going to have to pay the consequences. But that’s really the key to buying products. Knowing your skin and it’s limits. If you aren’t sensitive this could be a fantastic facial moisturizer to try out! Otherwise, we made a whole list of the 10 Best Moisturizers with SPF in 2018 and you should check out some more options! 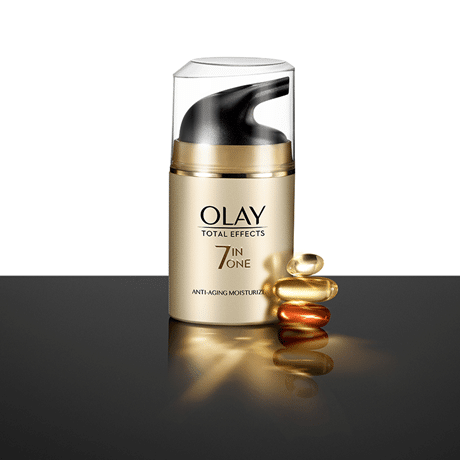 Olay Total Effects 7-in-1 is a nourishing moisturizer with broad spectrum SPF 30! While it may not be the cheapest moisturizer that comes in a 1.7oz bottle, it will definitely serve you well! It’s a wonderful travel size. A little bit will go a long way so this will go much further than you’d think. By using a single pump once or twice a day on a consistent basis, you should be able to make it last a month or more. It contains VitaNiacin Complex for anti-aging. The added vitamins B3, C, and E will keep your skin healthy. As well as the sunscreen and antioxidants that protect your skin. It minimizes the look of pores, fine lines, and wrinkles. It will smooth the texture and tone of your skin. Reducing the appearance of age spots can leave you feeling like a new person. This is an oil-free so it is ideal for oily or combination skin types because it will absorb into your skin quickly. Each product is different. There are a variety of things that will set them apart. Both good and bad. Here we are going to focus on the good things that make up this product! I think the different benefits will determine whether this is the right product for you. It will show you whether this is what you’ve been looking for. It might even end up having more benefits than you intended! Always a good thing! Olay Total Effects is an oil-free product. It will work great if you have oily skin or combination skin! It will obviously help dry skin, but you may need to apply it more often for great results. It will give you deep hydrating moisturization! This is very important if you want to have very soft and smooth skin. By moisturizing you can help promote elasticity in your skin. That’s important if you want good looking skin as you age! This actually triples an anti-aging serum, as well a moisturizer, and a sunscreen. Talk about a product that will give you a little bit of everything! There are a few reasons this makes such a great anti-aging cream, which I will list next! For one thing it exfoliates your skin as you rub in the moisturizer. This might not seem like a really big deal. 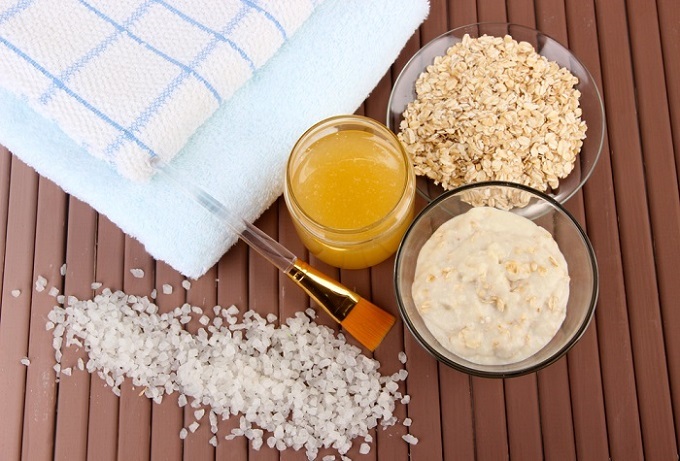 But by exfoliating your skin, it will actually enhance your skin’s self-renewal. That way you are basically helping your skin take care of itself! It will also balance and smooth the texture of you skin. People with oily skin may not see the need for this. My sister has very oily skin and it’s so smooth! But my combination skin tends to be on the dry side half the year. So I’m really starting to notice a rougher texture during that time. I think it has to do with getting older. But it’s high time to get it all sorted out! It actually balances out your skin tone as well! So if you tend to see uneven spots as you get tanner over the summer you might want to give this a try. 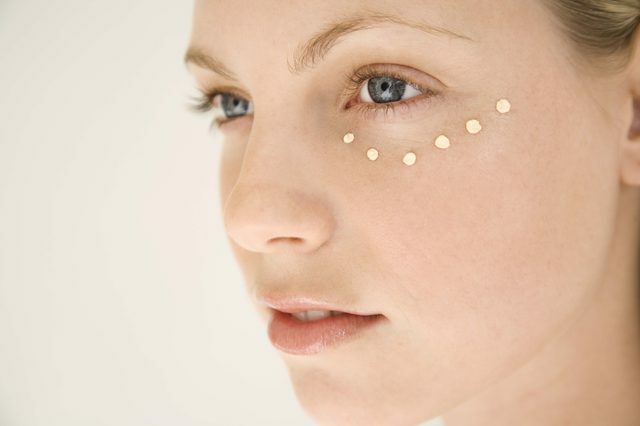 Many people have to deal with dark spots as they age. It can really hurt a person’s self esteem. 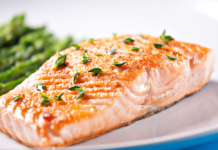 This will target and diminish the age spots over time! I think my best friend will have a heart attack if she ends up getting dark spots as she ages! At least I’ll have a recommendation when she does! Another big perk to this product is the fact that it will help minimize the size and appearance of your pores! I know this won’t be a big deal for everyone, but it is for me! I used to have tiny pores. I still had blackheads, but you could hardly see them and they disappeared when I applied makeup. Now I have larger pores on my cheeks. It makes it harder to apply makeup evenly and I break out more often. So minimizing my pores would be a big deal for me! The addition of sunscreen in this product is a wonderful idea! Broad spectrum SPF 30 will offer a great level of protection. Ensuring that you won’t suffer any further damage in the sun! Since it is formulated specifically for your face, it will so on smooth and won’t clog your pores! The most unique aspect of this product would have to be in the ingredients. This product contains VitaNiacin Complex which is what provides everything you need for your skin! It contains vitamins B3, C, and E. As well as antioxidants! It is even dermatologically tested! Overall, this product gets some rave reviews from customers! They enjoy the anti-aging and sunscreen the most. If you have healthy skin, this will protect it from sun damage. For those that already have mature skin that has been through a lot, this product did wonders. It obviously won’t make a world of difference for everyone. But since it’s suited better for the skin on your face, you run less of a chance of clogging your pores. It will even shrink your pores in the process. According to a majority of the customers, this is a great product! When it comes to the different products, it can be really hard to choose. I like the fact that this is anti-aging, moisturizing, and contains sunscreen. I don’t like the price, the fact that it isn’t hypoallergenic, or water resistant. But every product has its ups and downs. I’m very critical because I don’t want to waste my money. If I could know for a fact that a product would do exactly what it said, I wouldn’t mind spending extra. But having no idea feels like a gamble to me! So for every product I look into there are about 3 others I’m considering at the same time before I finally settle on one. Here are 3 alternative options for you, just in case you like a lot of options or know that Olay isn’t going to work for you! If you have been looking for a very light product specifically for your face, this is a great option. It’s super affordable which is something I’m always interested in personally. When I’m buying specific products, I want something that will work really well but not break the bank. Plus, you’ll only need one pump to cover your entire face so this bottle should last you a long time! So this is perfect for me! It is a great daytime moisturizer that will protect you from the sun. You really need to rub it into your skin to ensure there won’t be any residue because it contains zinc. But while that might seem kind of inconvenient, it is a fantastic sunblock. Eucerin is definitely another wonderful option! For one thing it is an fragrance free which a lot of customers are looking for. I was actually surprised to see just how many people had issues with that. But this is a fantastic if you are! It’s affordable, it’ll last such a long time, and it will protect you from the sun and any damage it might cause! If you’re interested in Eucerin Daily Protection Face Lotion you can find it on Amazon for a great price! This isn’t the cheapest of all the moisturizers, but it has an incredible amount of benefits and uses. It has broad spectrum SPF 45, contains zinc oxide ,and is supposed to be good for all skin types! So this is really one of those products that is pretty much good for anyone! 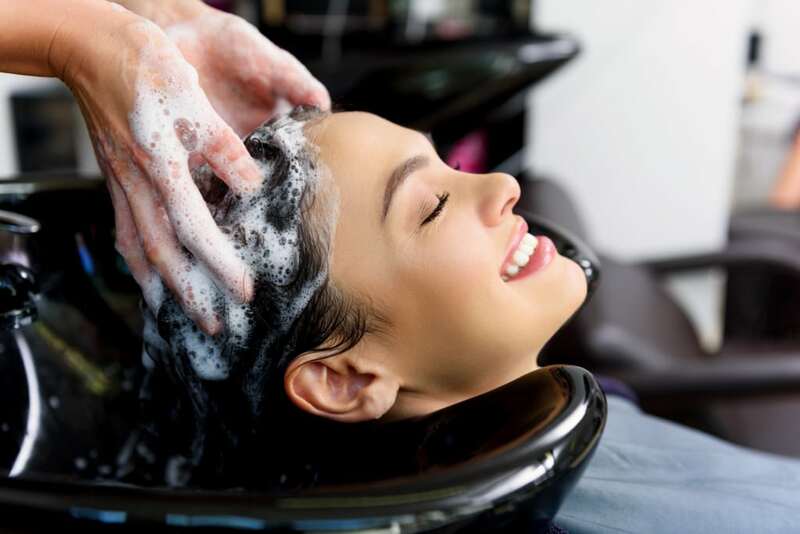 It does not contain fragrances, sulfates, hormones, or parabens! It is fragrance free and cruelty free. It is an anti-aging serum! By adding the ingredients hyaluronic acid and niacinamide it actually plumps your skin, reduces fine lines, and wrinkles, and reduces the size of your pores. That and the antioxidants will help protect your skin against breakouts. Overall a wonderful lightweight, moisturizer and sunscreen! I would pretty much recommend this to everyone. There are so many benefits to this product that you’ll have to read our full review! It’s great for pretty much any skin type, has long lasting hydration, SPF 45 sunscreen, and anti-aging properties. It’s oil-free, fragrance free, and dermatologist recommended! It’s lightweight, contains beneficial vitamins, antioxidants, and hyaluronic acid. That will heal and protect your skin from so many things that can cause breakouts! So if you have a hard time finding something that will hydrate and protect your skin as well as all of the additional benefits this is a fantastic option! This is really an fantastic product. It has an incredible amount of benefits! The fact that pretty much all skin types can use it is probably the best part. Typically they are better for specific skin types. It’s hard to make one product that will work for pretty much everyone! So this is definitely a great option if you’re unsure and want something that has more benefits and less chance of causing a breakout! So if you’re interest in DRMTLGY Daily Anti-Aging Moisturizer, you can find it for a great price on Amazon! Neutrogena is another well known and fantastic brand. 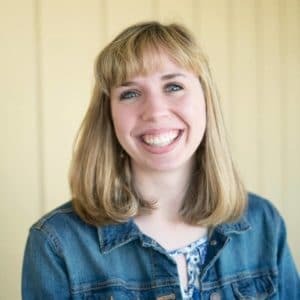 I have used their products in the past and never had any complaints! This is a moisturizing lotion with SPF 11 that comes in a 3oz tube and it goes on smooth and even. It absorbs into your skin quickly and is water resistant for up to 80 minutes! It contains ingredients that will help with deep cellular protection. This is meant to protect your skin 6 layers deep! It is a very lightweight product that will defend against aging, including wrinkles, fine lines, age spots, and uneven skin tone! I would recommend this to people with mature skin or very fair skin. Not only will it fight against aging, but it has the highest broad spectrum UVA/UVB protection on our list! This is perfect to protect anyone who normally has a lot of issues burning in the sun! I have quite a few friends and family members who seem to burn no matter what they use on their skin. This will not only do the trick, but it will leave your skin feeling soft and smooth along the way! You might feel ridiculous getting a lotion that doubles as sunblock with SPF 110. It might feel extreme. But to be honest, I have a few friends I have seen totally embarrassed by how high their SPF is or how often they have to put it on so they don’t burn to a crisp. But why get embarrassed? You are the one who has to feel the sting of sunburn. You’re also the one who is going to have to live with the result of frying your skin over and over as you age. This is a wonderful product that will protect you from the sun and the dangers it can bring with it! So if you’re interested in this product, you can find Neutrogena Age Shield Lotion Sunscreen on Amazon! Olay makes some incredible products. They are well loved by so many customers who absolutely swear by them! There are quite a few return customers that have been using this product for years now! The main reason I would want this is because I want something that is specifically formulated for my face. Regular sunscreens are made with the intention of being a body lotion. They can actually be too thick for your face. That can result in clogged pores and breakouts. 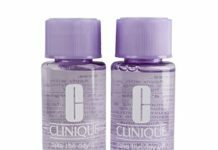 Instead of clogging pores, this will visibly shrink them. It also contains anti-aging ingredients to keep your skin looking and feeling younger for longer! This deep nourishing moisturizer is even dermatologically tested!Every product may fall short in certain areas and this is no exception. It isn’t hypoallergenic, fragrance free, or great for sensitive skin. This might put a few people off. But I think it’s really important to keep these aspects in mind. It’s fantastic if you’re interested in balancing your skin tone and texture while reducing the appearance of fine lines, wrinkles, and age spots. I’m pretty sure we’re all interested in this, or we might be in the future! 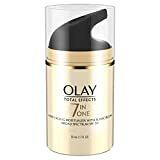 So if Olay Total Effects 7-in-1 Anti-Aging Moisturizer is something you’d like to try, you can find it on Amazon! For more information, check out the rest of our moisturizers with SPF reviews.